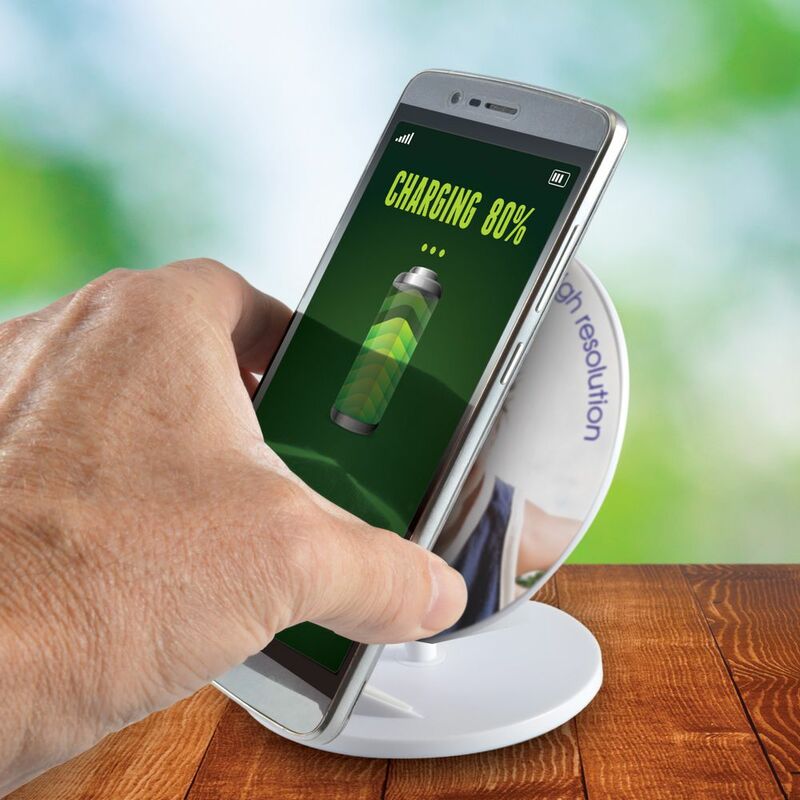 Inductive- upright- wireless charging phone stand with non slip rubber rest compatible with phones that offer wireless charging. Height adjustable to place your phone in vertical or horizontal positions. Works with new Apple 8- 8 Plus & X and suitable for Samsung Galaxy S6- S7- S8- S9.